Twitter is absolutely one of the best social media platforms where you can access, curate and share educational content with others. It is also an effective way to build and grow your personal/professional learning network and expand your professional growth and learn from teachers from all around the globe. There are several ways to integrate Twitter in your instruction from holding after class discussions to starting backchannel talks, this page features some interesting ideas to try in this regard. To help you make the best of Twitter in your professional development, we are sharing with you some of the best Twitter apps to use on your iPad. The apps provide a plethora of powerful features that enable you to track real-time conversations, keep up with trending educational topics, create lists of influential tweeters in your field, view mentions, read direct messages and many more. TweetDeck by Twitter is an excellent app that allows you to track hashtags, create lists and collections around a specific topic, and view notifications and mentions. It also lets you organize and build custom timelines, keep track of lists, searches, activity and more—all in one interface. You can create searches to track topics, events and hashtags and refine the results with filters. 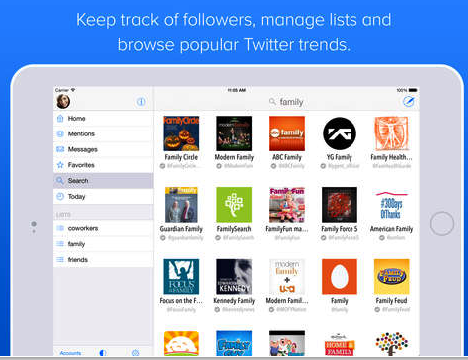 Browse both mentions and direct messages directly from your home timeline. Customize fonts, avatar sizes, image thumbnails and more via the theme panel. Quickly respond to tweets, change accounts or view conversation threads with minimum of effort using gestures. 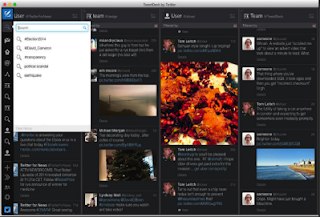 Rich media support including multiple images & Twitter animated GIFs. 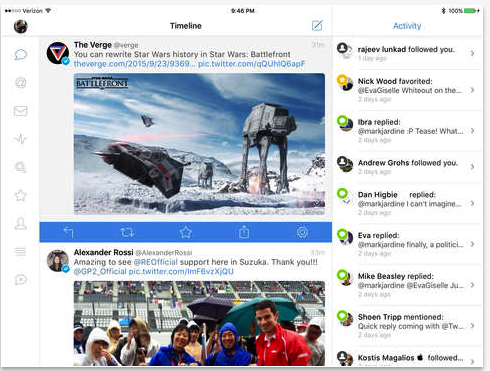 Robust VoiceOver support means Twitterrific is accessible for users with vision impairments. 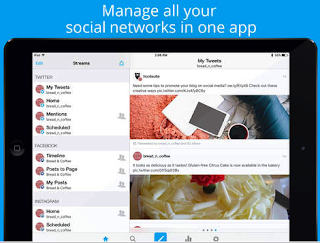 This is one of the leading social media managing platforms where you can manage multiple networks and profiles. It offers tools to engage with your followers and monitor conversation threads that matter to you. You can also use AutoSchedule to spread messages out over a number of days, which is great for time management. And if you want to see how your links are performing, use Ow.ly link shortner to track click-through stats. Tweetbot is a wonderful Twitter client that’s powerful and a joy to use. Sync your timeline across your iPhone, iPad, and Mac (Tweetbot for Mac also available in the Mac App Store). Mute tweets by users, hashtags, tweet sources, or keywords (including regex). 3rd Party support for image, video, read later, and timeline sync services. Tweetbot also has all the features you’d expect in a full-featured Twitter client like lists and direct messages, and others you wouldn’t like the statistics view, a night theme for low-light reading, and much more.